We’re what professionalism sounds like. The perfect soundtrack to the best day of your life, spun with your wedding or event in mind. The DJs of Complete Weddings + Events Kearney will keep you and your guests dancing till the reception ends. DJ BBBBob is from Loup City, NE, and lives in Shelton. He has been a DJ for over 30 years, and has performed for more than 2,000 events, including events across the country and in Canada. Bob has been recognized nationally for his work as a DJ, based on number of bookings, customer ratings, and votes from his fellow DJs. He is a member of the DJ Hall of Fame, a Top Performer since 1986, as well as a 3-time Franchise DJ of the Year. Because of his incredible record and outgoing nature, DJ BBBBob books up very quickly. Call and request him for your event today! B-b-b-b Bob was amazing!! We got so many compliments on our music and dj! He was great at getting the crowd involved, young and older people were always hearing something they wanted. Took requests and played them in a timely manner. Our dance floor was packed all night!! Would highly recommend anyone to have Bob, he is high energy and just an all around great guy. He takes pictures throughout the night and gets to know his clients. Such a fun time! Thanks B-b-b-Bob!!!! Gage is just plain fun. He enjoys being around rowdy crowds and good times, and looks forward to being part of your big day. You will see him smile most when he finds that perfect song and everyone moves out to the dance floor. “My goal is to make every event the best it can be.” Gage has been with the company since 2011 and has performed over 262 events, and loves flat out love this job! This cyber nerd is full of good times and good tunes.Gage is more than ready to take your event to the next level, so call to request him today! Loved our DJ. He really knows what he's doing and keeping the dance floor jammin!!! Very friendly and kept asking how we thought it was going through out the night!! Would definitely recommend Gage to DJ your party!! DJ Dalton is from Kearney. He loves to DJ because he gets the opportunity to create a party that no one will ever want to leave. HE also serves as Operation Manager which does take up a lot of his time on weekends, so he isnt highly available, but he will DJ every chance he gets!!!!. His favorite memory as a DJ was from a reception that involved a bride’s father. “He was suffering from a disease and could hardly dance or walk. I had the honor of helping him out of his seat, walking him to the dance floor and announcing the father-daughter dance.” Dalton’s goal as a DJ is to make each reception the best event the guests will ever attend. “I want to make the day stress-free and full of excitement.” Dalton can get any crowd on the dance floor, whether they enjoy country, rock, Motown, disco, or anything in between. If you’re looking for a DJ who will go above and beyond, call to request DJ Dalton today! Complete was very professional and easy to work with. Dalton was the DJ at our wedding and he did a great job! He was on time and prepared and did an excellent job of keeping the flow of the reception, dismissing our guests to our buffet line, making ice breaker games fun, and taking our guests song requests all night. Our reception ended at 11:00 but people were begging him to keep going until 11:30. We had an absolute blast and are very happy with our experience. Josh is a veteran DJ who has been with COMPLETE for over 10 years. He is best known for his incredible energy, enthusiasm, and his hands-on approach to making each event fun and memorable. He is always finding new ways to entertain, and is one of COMPLETE’s most progressive DJs. Josh’s love for music started at a very young age. He was heavily influenced by Animal from the Muppets, and wanted to play drums from the age of 3. He decided he wasn’t coordinated enough to play drums, but chose to pick up a guitar instead. Josh is the resident “rock guy,” but he is equally comfortable playing country, Top 40s, 80s, 90s, and more. He books up quickly, so request Josh now if you’re looking for a burst of energy at your event! We cannot say enough good things about Josh. He kept our wedding guests entertained and we got so many compliments on how great he was. He added variety to the traditional wedding activities such as the shoe game. He was super accommodating and made our day perfect; from offering to get us drinks when we first sat down to checking on us to see if we had any song requests throughout the night to teaching our guests various dances! Thank you Josh for an amazing time!! Logan is from Gibbon, NE. He says the best thing about being a DJ is making sure that everyone at his events has as much fun as he does. He has been in the running Franchise DJ of the Year for the past 2 years and making his way to the top spot. His favorite event to date was a wedding overlooking Lake McConaughey. 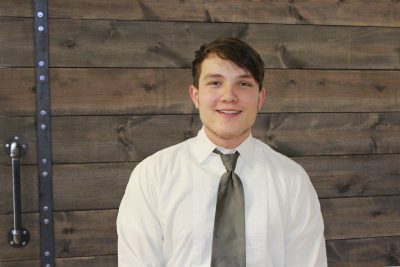 Logan goes above and beyond to be friendly and thorough at all of his events, and wants to ensure he’s creating lasting memories for all of his clients. Logan’s favorite genres of music include rock and metal, but he loves any music he can jam to. If you’re looking for a lighthearted and friendly presence at your event, call to book Logan today! Logan went above and beyond to ensure that our night went how we wanted it to! The dance floor was full all night and he even went out and taught our guests dances. He was willing to work with our other vendors on the plans for the night and was always checking in with us to make sure we thought it was going well! Natasha is from Kearney. She says she does not have a favorite genre of music, and will listen to anything with a strong beat. “As a DJ I love seeing people have fun and having them make memories they’ll always remember.” Natasha’s goal as a DJ is to get everyone on the dance floor and keep smiles on their faces all night long. If you’re interested in a DJ who will cater to all of your needs, call to book Natasha for your event! Our DJ was AWESOME! She listened to what we wanted and made it happen!! She was very outgoing and everything I wanted for my reception. She even stayed and extra hour with short notice! I was on the dance floor all night :) Thank you Natasha!!! I would recommend her to all my friends and family!!! From big days to school dances, bat mitzvahs to corporate gatherings, our Complete Weddings + Events Kearney DJs work with you to create the perfect event, with professional party motivation and expertly coordinated announcements.